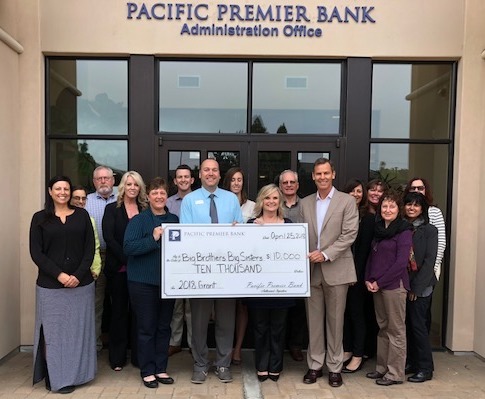 Pacific Premier Bank awarded a grant of $10,000 to Big Brothers Big Sisters of San Luis Obispo County in support of the agency’s youth mentoring programs. With this $10,000 gift, the bank’s total contributions in support of the agency’s mentoring programs amount to $34,270. “We’re very happy to support Big Brothers Big Sisters in their mission to help and empower children in the communities where we live and work,” said Rob Osterbauer, market president for Pacific Premier Bank.